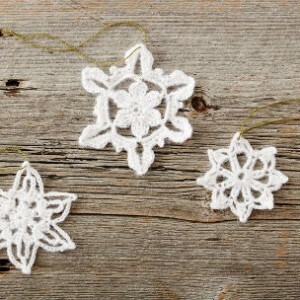 Though they may look intricate, these delicate crocheted snowflakes are quick to make. 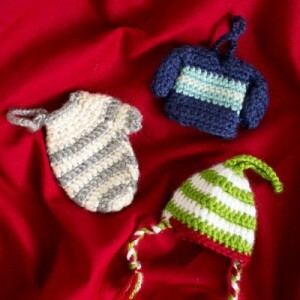 Use them as tree decorations or gift toppers. 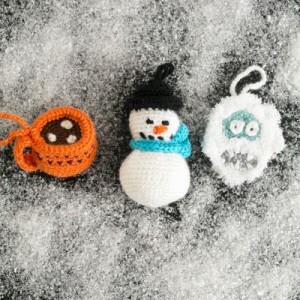 Who says ornaments have to be circular? 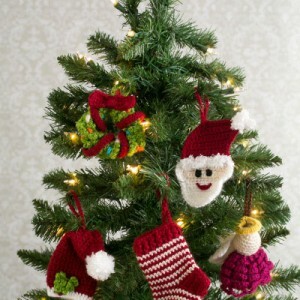 Adorn your tree with this mini décor set of ornaments and give your tree its own wreath, stocking, angel and Santa! 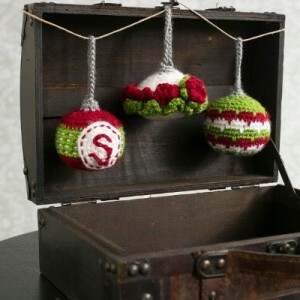 This Three-of-a-Kind Set is the perfect set for the traditionalist looking for simple and basic ornaments. Alternate and switch around colors to make enough unique ones for your entire tree!